Dalian Wanda Group, the property and entertainment conglomerate run by China’s richest man, Wang Jianlin, today denied reports that it was preparing a bid for Germany’s Postbank. The denial came hours after the Financial Times cited three people familiar with Wanda’s plans as indicating that the rapidly diversifying conglomerate was actively evaluating a number of European financial institutions, including Postbank. 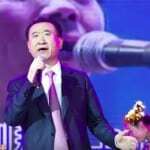 A Reuters account cited a source familiar with the discussions as saying that Wanda has made informal approaches regarding the retail bank, which had ‎€148 billion in total assets at the end of June 2016. Is Dalian Wanda boss Wang Jianlin itching to try his hand at European banking? The German financial service provider was put on the block nearly two years ago by Deutsche Bank, which acquired it in 2008 for €6 billion, but has struggled to find a buyer. The company’s current asking price is said to be approximately €6 billion ($6.4 billion). Despite its denial, no acquisition seems beyond the scope of Dalian Wanda’s ambitions. The company, which started as a homebuilder in China’s Liaoning province, is now the country’s largest commercial property developer, with a portfolio of more than 116 shopping malls. In recent years, Wang Jianlin has made a push to become an entertainment giant, by first acquiring the US’ AMC theatre chain, and later adding to that empire until Wanda now controls the world’s largest chain of cinemas. As part of his plan to build Dalian Wanda Group into a $200 billion company by 2020, Wang has vowed to diversify into still more areas, including financial services. In China, the company has previously acquired online payment provider 99bill and has set up an Internet finance division. The company has also previous invested in e-commerce and health care in China, as well as setting out to build the country’s largest chain of theme parks. 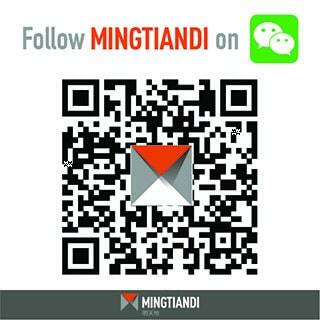 Wanda has previously invested in property projects in Europe, but with mixed results. The company’s One Nine Elms residential project in London, which Wang has touted as a $1 billion deal, is facing delays after Wanda parted ways with two general contractors. In Spain the developer sold off a project in Madrid at a loss after local authorities rejected plans to raze a historic building. Wanda last year announced plans for a $3.4 billion leisure and retail project with France’s Auchan Group in the Paris suburbs.